Southport Metro Medical Centre is a bulk-billing clinic providing medical services for men, women and children. Dr Ben has joined the team at Southport Metro Medical Centre. 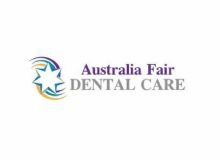 She is a highly experienced GP that has been training and practicing in Australia for over 20 years. If you would like to make an appointment with Dr Ben, please click here or phone 1300 011 925.